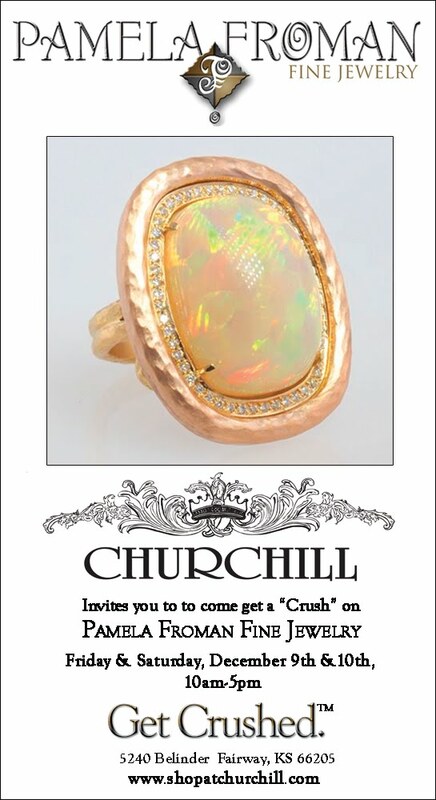 Stop by the fabulous Churchill in Fairway Kansas and see the one of a kind winter collection! Friday & Saturday, December 9th & 10th from 10am-5pm. Pamela Froman will be making her DC-area debut this weekend at Amethyst in Bethesda, MD! 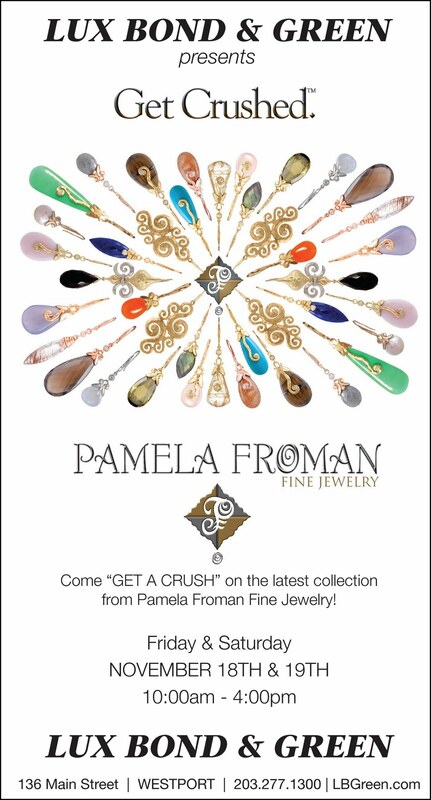 This is a great opportunity to meet Pamela, and find the perfect holiday gift for the jewelry-lover in your life! 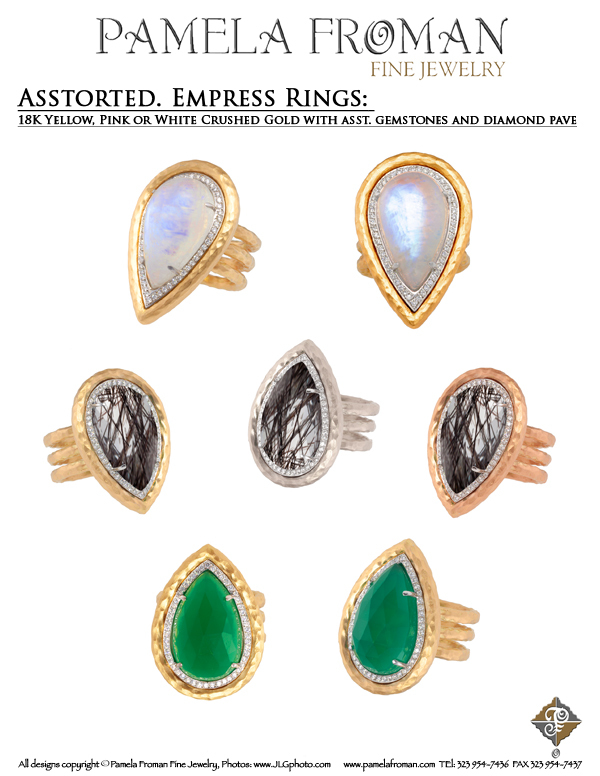 Amethyst is located at 4808 Bethesda Ave, Bethesda, MD 20814. We will be there this Saturday, December 3rd (10am-9pm), and Sunday, December 4th (10am-5pm), and we hope to see you there! 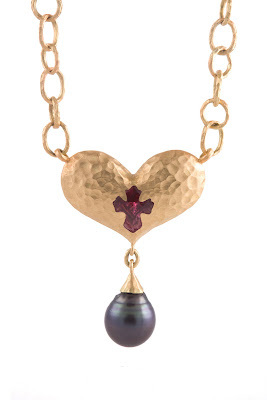 Amethyst is for the woman who prefers fine chic jewelry from small designers as opposed to mass-produced brands. 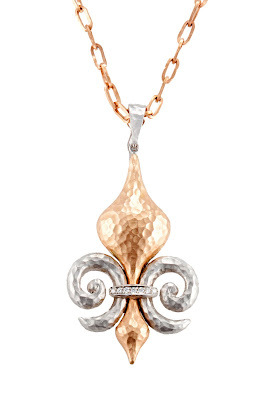 Amethyst celebrates creativity and artistic passion, as well as a woman's individuality and sense of style. 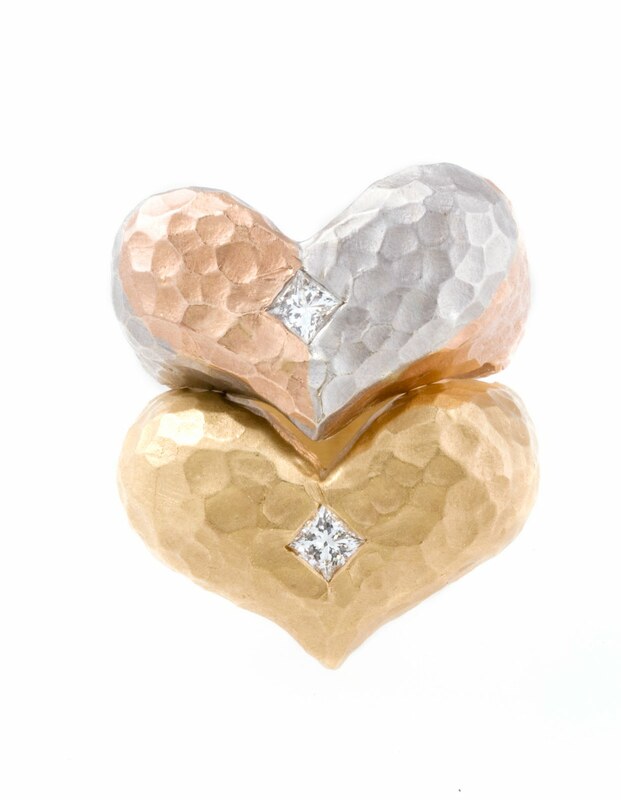 We believe jewelry is a reflection of who a woman is on the inside not just what she wears on the outside. 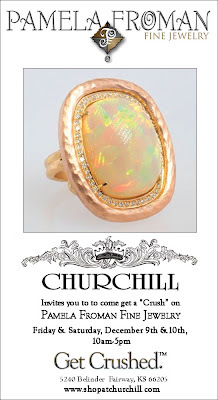 "Get A Crush" at Lux Bond & Green! 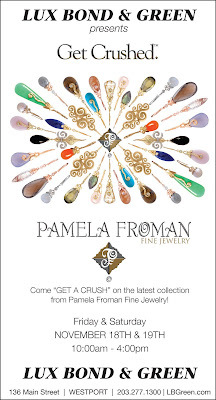 It's not too early to get a jump on your holiday shopping... Come see the latest one-of-a-kind and limited edition styles from Pamela Froman at Lux Bond & Green in Westport, CT, this Friday & Saturday! Pamela Froman at Max's in MN this weekend! 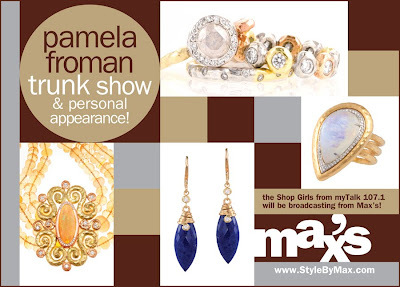 Chocolate Lovers are in for a treat at Max's this weekend: Pamela will be there with her entire collection, which includes new Chocolate Gold styles! 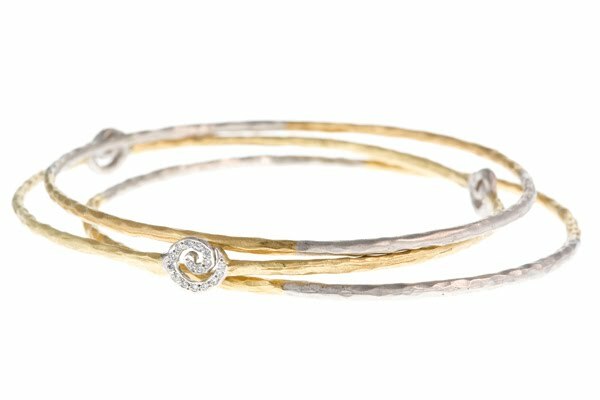 For those who don't know, Max's is a fabulous boutique in Minneapolis, MN, that carries exceptional chocolate confections in addition to a beautiful collection of unique designer jewelry, hand-picked by owner Ellen Hertz. In fact, the store was recently named "America's #1 Coolest Small Store" by InStore Magazine! Max's is located at 3826 Grand Way in St. Louis Park, MN. Come meet Pamela there this Friday (11-7), Saturday (10-6) and Sunday (Noon-5). As an added bonus, The Shop Girls from myTalk 107.1FM (Allison Kaplan & Alexis Walsko) will be broadcasting their show live from Max's between 11am-1pm Saturday! 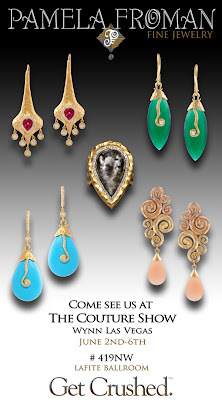 Meet Pamela at McCaskill & Co. this weekend! 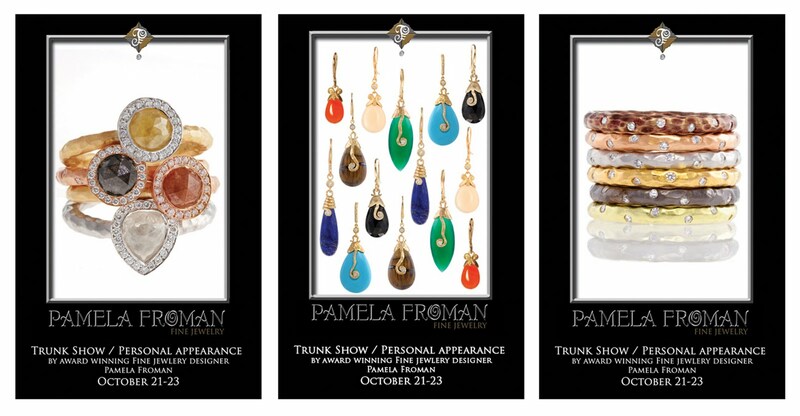 Pamela will be at McCaskill & Company in beautiful Destin, FL, this Friday and Saturday, with her entire collection. If you love unique, wearable fine jewelry, you don't want to miss this event! McCaskill & Company is located at 13390 Highway 98 West in Destin, Florida, and is open from 10am-5:30pm. 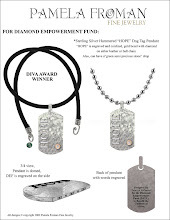 You can call the store for more info, or to set up a private appointment with Pamela: 850-650-2262. Looking forward to seeing you there! 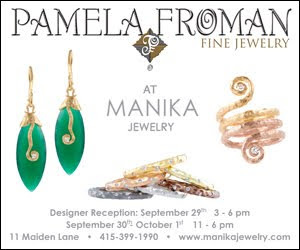 I will be debuting the Pamela Froman Collection for the the first time in San Francisco at Manika. Please come join us: Thursday, September 29th 3-6pm for a Cocktail Reception, and September 30th & October 1st from 11-6pm. Look forward to seeing you there! Celebrity Style is a fabulous feature of Inside Weddings magazine, by stylist to the stars Anya Sarre, reporting on Hollywood's hottest wedding trends. Of course, the biggest celebrity wedding of the year wasn't two Hollywood stars, but the royal couple: Prince William and Catherine, now the Duke & Duchess of Cambridge. 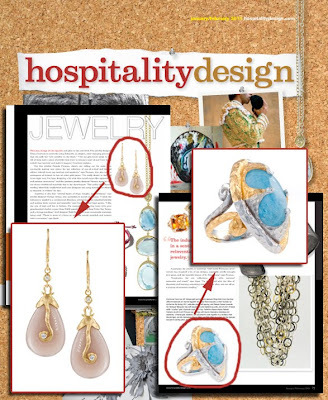 So, the focus of the Fall 2011 feature is "Palace Perfection": Create your own royal affair with details inspired by the wedding of the century. Anya gives tips on everything from the invitations, cake, and decor, to lipstick, perfume, and the perfect tiara. 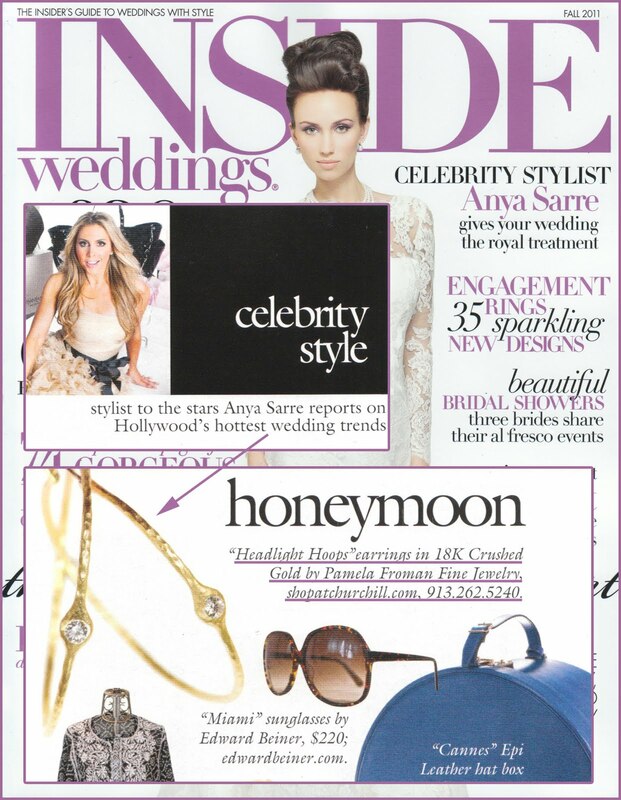 For the ideal Honeymoon wardrobe, Anya offers this Style Tip: The theme of your honeymoon should be stress-free style, and recommends Pamela Froman's "Headlight Hoops" in 18k Yellow as the perfect earring to fit that theme. Color has a huge impact on all of our lives. Color psychology finds that personality traits are revealed through color preferences, the color of packaging impacts purchase choices and various colors are said to shift one's mood. Colored gemstones hold appeal for consumers for a range of reasons -- they represent personal expression, they have fascinating legend, lore and metaphysical characteristics associated with them and colored gemstones are the perfect way to complement an outfit. But the main reason people choose a color is because it makes them feel good. 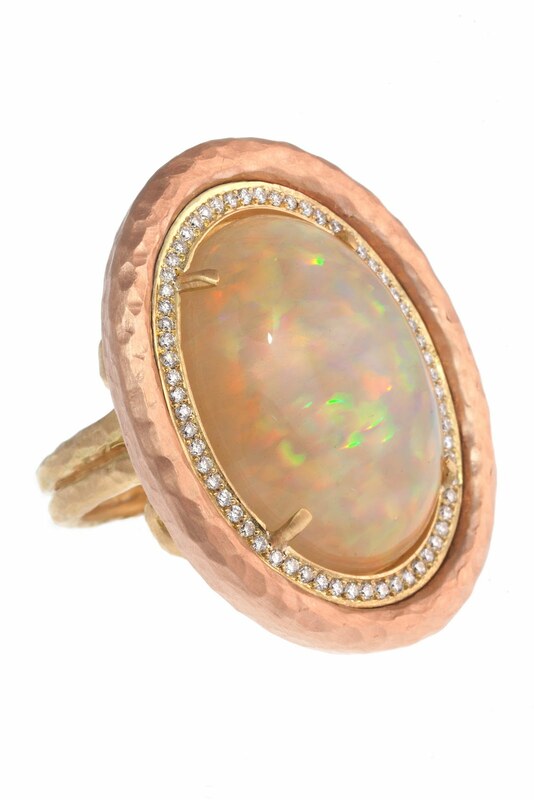 "Each stone has its own personality," says designer Pamela Froman of the eponymous Los Angeles-based company, who finds that the blend of stones and metals can completely change the look of a piece. "Colored gemstones add another dimension of color to a piece that can't be achieved with gold alone. I've developed my own 18-karat alloys so I have multiple colors of gold to work with and colored gemstones expand my palette. I love to take a unique gemstone, like black rutilated quartz, and pair it with a color metal that is not typical, like 18-karat pink gold." Despite the focus on color connected with runway fashion each season, the shows have surprisingly little impact on designers. ... Both Froman and Showers admit to paying no attention at all to the runway shows, choosing instead to design with the colors that they are drawn to at any given time. 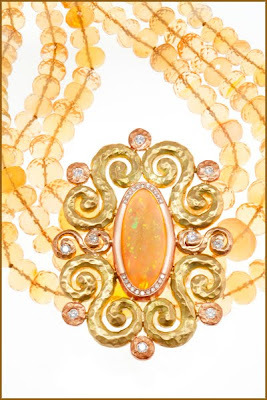 While colored gemstone jewelry often has one luscious center stone that is the highlight of the piece, sometime designers will choose to mix their own colors. 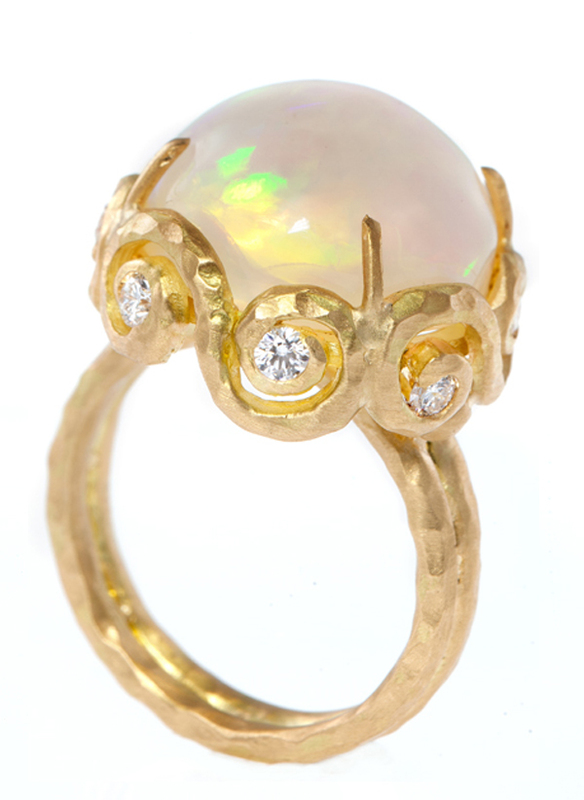 All designers mix their gems in a way that expresses their own aesthetic and creativity. 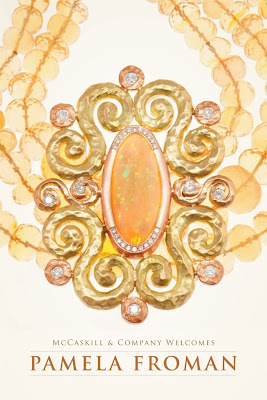 "For me, it usually begins with the color of the gemstone," says Froman. "Depending on which shade of gold I choose to use, I can achieve bold contrasts, such as 18k-karat yellow gold with tanzanite or rubellite. 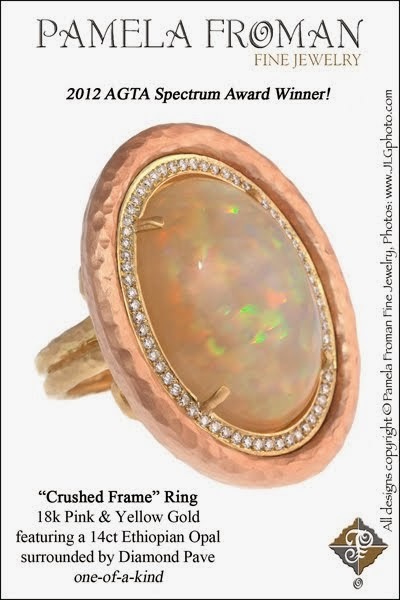 Other times, I prefer a more subtle, tonal approach, with combinations like 18-karat pink and yellow gold with a peach moonstone. 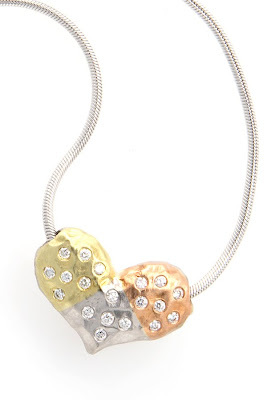 Each combination evokes a different mood." 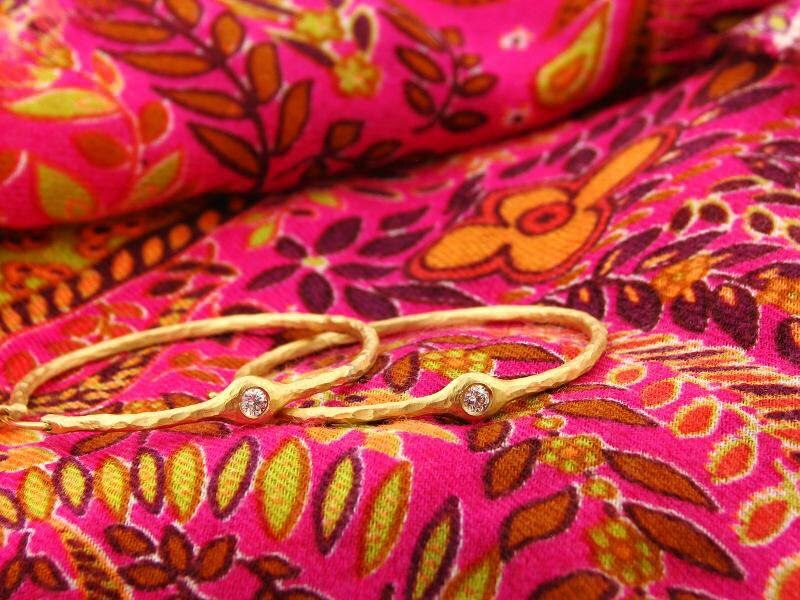 Colored gemstones have a beauty all their own, but their beauty is still enhanced by diamonds. 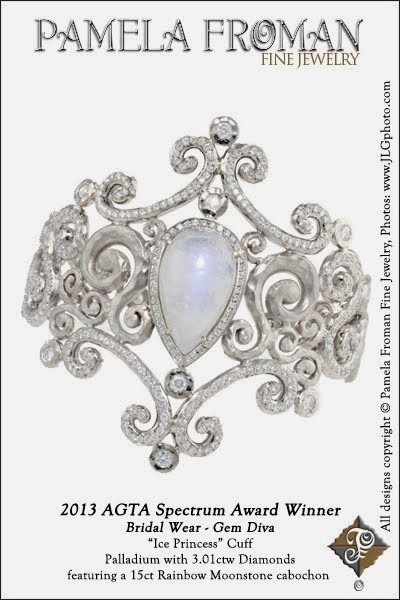 Using diamonds in a design allows it to go from day to night with ease, notes Froman, who concludes that "diamonds add sparkle and an element of glamour to my colored gemstone designs. 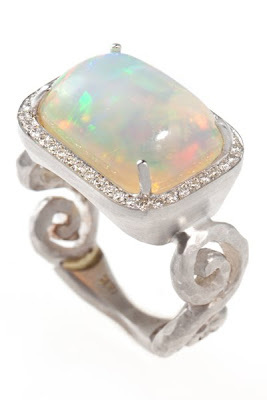 By setting the diamonds next to a stone, it pops the natural color of the gem and brings the piece to the next level." 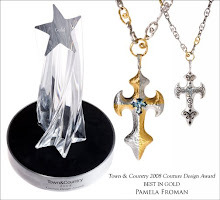 The World Gold Council has selected Pamela Froman as one of the world's great designers of gold jewelry! 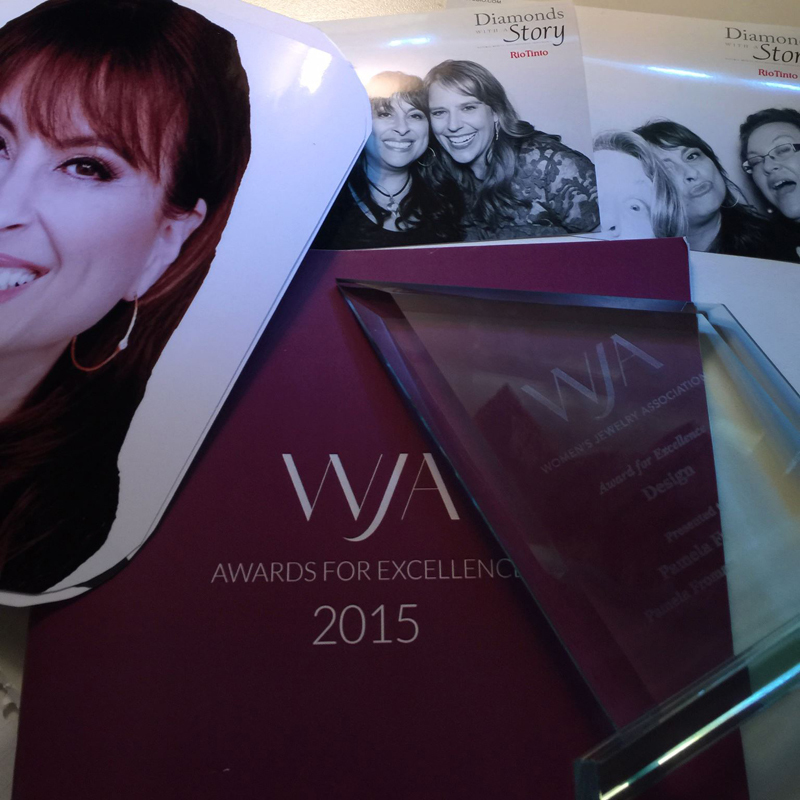 Pamela is incredibly honored by this designation. 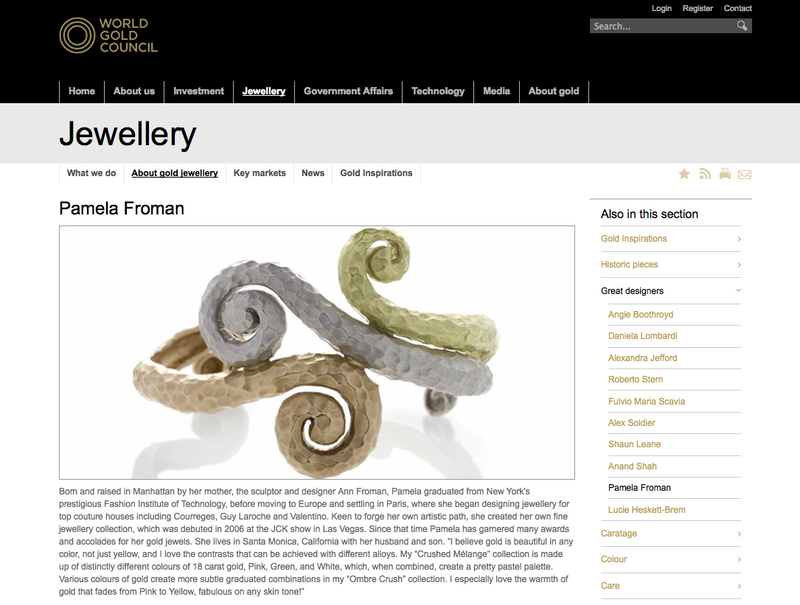 You can click here to read the article on the World Gold Council's website. 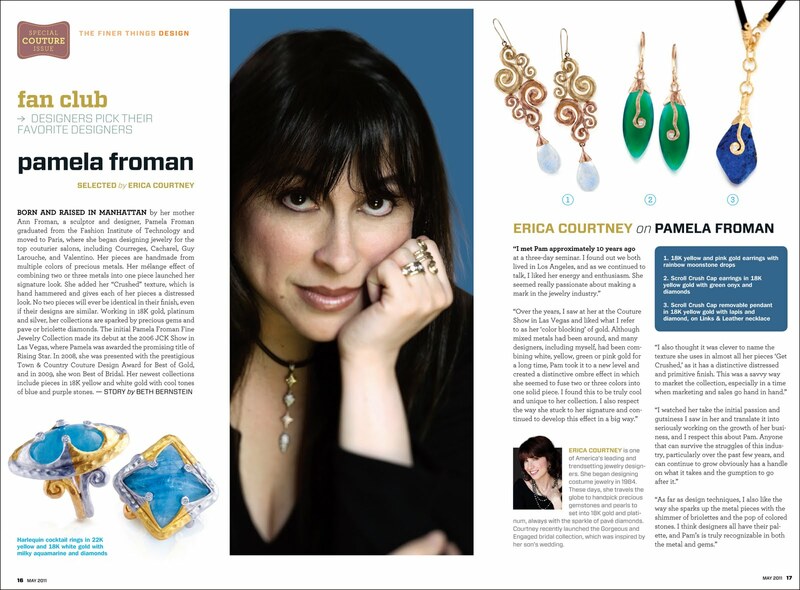 So, in an effort to catch up, I thought I'd share a sampling of the editorial coverage Pamela Froman Fine Jewelry has received this Summer. Enjoy! 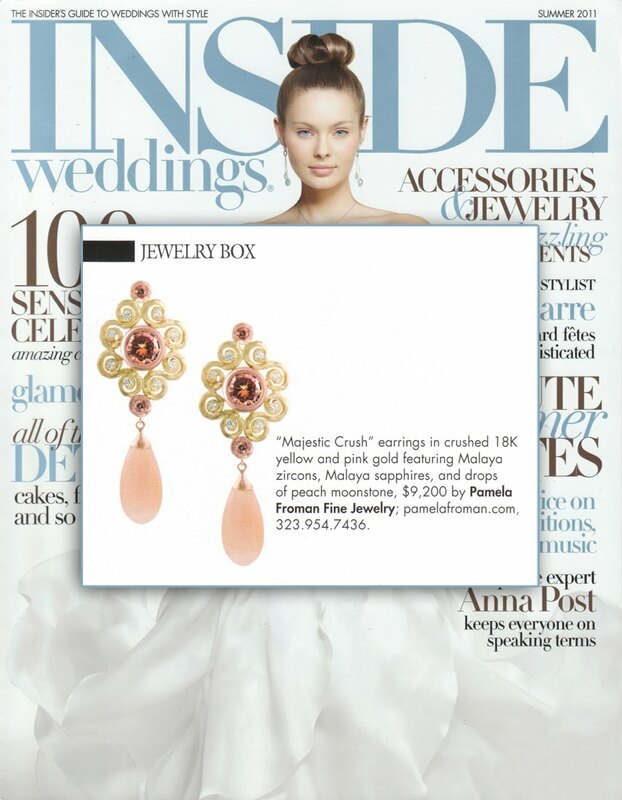 Inside Weddings selected our "Majestic Crush" earrings in 18k Pink & Yellow "Crushed" Gold, featuring gorgeous Malaia Zircon center stones with Malaia Sapphire & Diamond accents and Peach Moonstone drops, to illustrate the "Light & Airy" theme of their Jewelry Box section: "Delicate jewelry designs with weightless appeal, perfect for summery bridal ensembles." "Each year, designers create trendsetting new confections to debut at the Las Vegas jewelry shows." Amber Michelle, Editor-in Chief of Rapaport, identified Pamela Froman's "Crushed Solitatire" Rings with natural color diamonds as one of the "Desert Treasures" to be found at the Couture Show in Las Vegas this year. 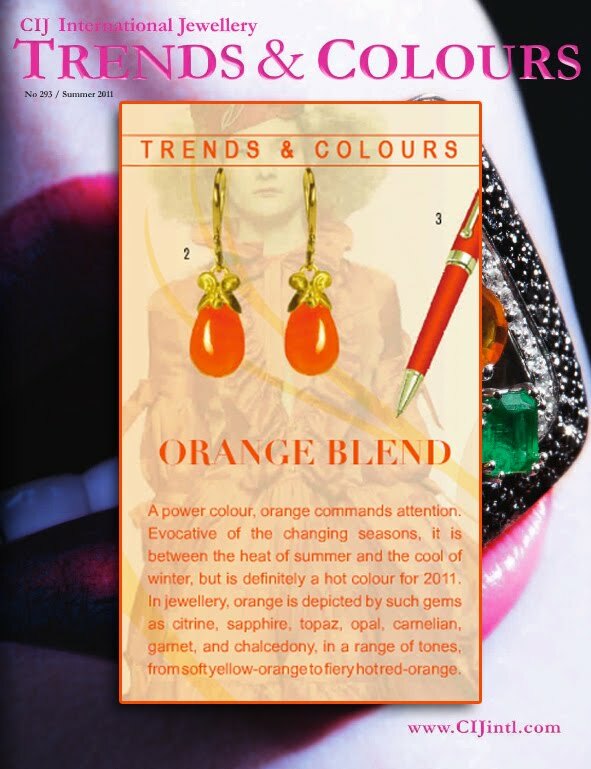 CIJ Trends & Colours, "the Jewellery Industry's only comprehensive guide to the hottest trends and colours for 2011," selected Pamela Froman's "Royal Cap" Earrings in 18k Yellow Gold with smooth Carnelian drops to illustrate the popularity of the color Orange this year: "A power colour, orange commands attention. Evocative of the changing seasons, it is between the heat of summer and the cool of winter, but is definitely a hot colour for 2011." Come visit us at Dolce Jewels in Telluride during the Wine Festival! Join us for a Cocktail Reception at the Gallery Thursday night, and visit us any time after Noon on June 23rd through June 26th. We have some fabulous new beautiful pieces to show you! I just wanted to share with you some of my new one-of-a-kind opal pieces that sold at the Couture Show. Some of them are 18k Yellow & Pink Gold, one is all 18 Yellow Gold, and one is 18k White Gold. 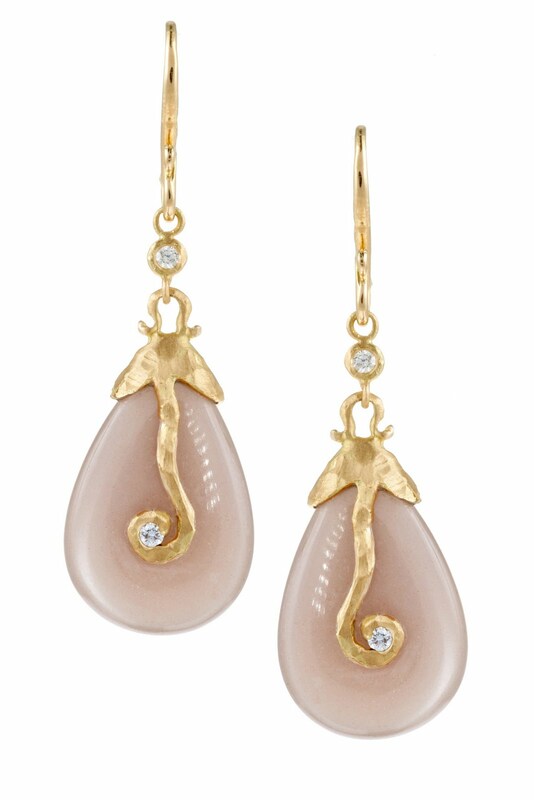 I loved these pieces, but I am sure they will find nice homes through the stores that bought them! It was a great show, the reaction was wonderful! I feel very blessed to have spent time with other designers that I admire, see store owners who I adore, and start relationships with new store owners who are excited to bring my collection into their stores this year! 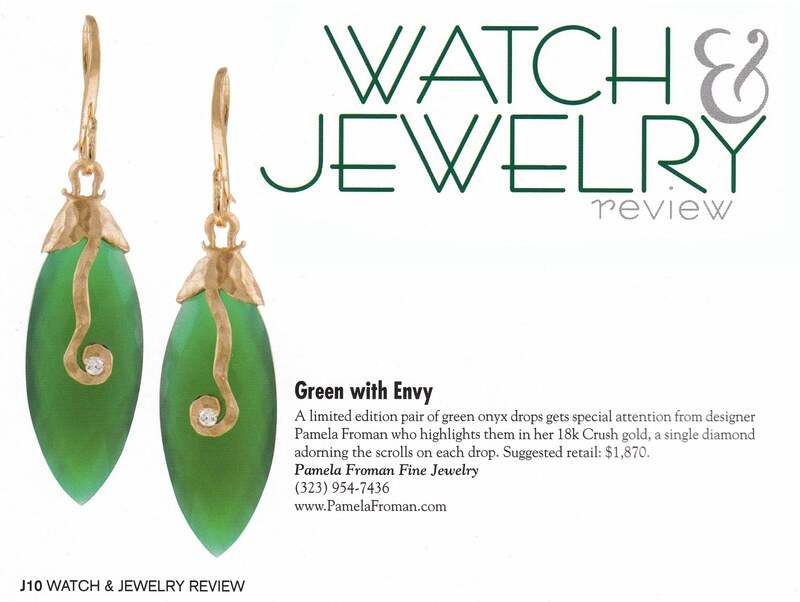 Pamela's limited edition "Scroll Crush Cap" earrings with Green Onyx were featured in this month's Watch & Jewelry Review magazine! In the true spirit of retail partnership, a Rhinebeck, NY, jeweler and an L.A. jewelry designer planned a trunk show with a week-by-week timeline. 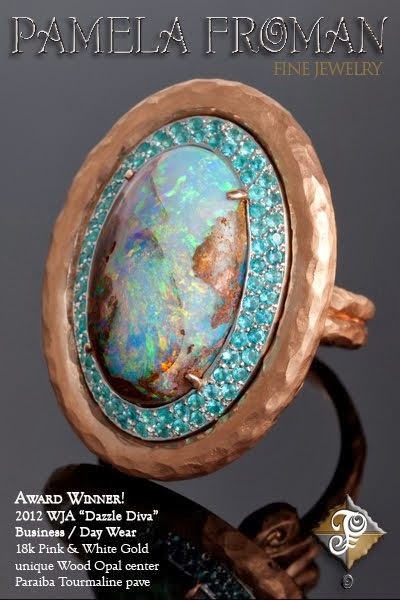 Hummingbird Jewelers had been carrying about two dozen pieces of Pamela Froman Fine Jewelry for almost a year, and owners Peggy & Bruce Lubman felt it was time to step up promotion of the emerging designer. Froman designed postcards and posters that incorporated photos of her jewelry and Hummingbird had them printed. The store announced the trunk show on its website, with a bio of Froman and images of her work. 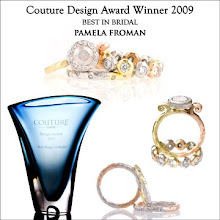 Hummingbird e-mailed and phoned clients who had shown an interest in Froman's work. It asked the local tourism office to post the dates on its website. Hummingbird and Froman posted the news on their Facebook fan pages. Hummingbird mailed postcards and displayed Froman's pieces and the posters in its windows. 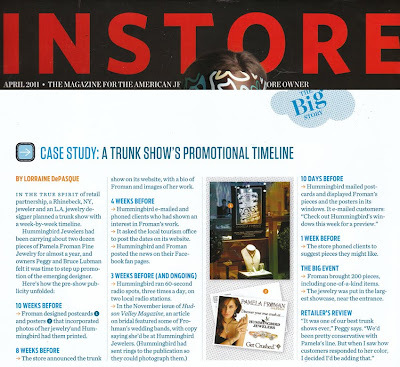 It e-mailed customers: "Check out Hummingbird's windows this week for a preview." The store phoned clients to suggest pieces they might like. Froman brought 200 pieces, including one-of-a-kind items. 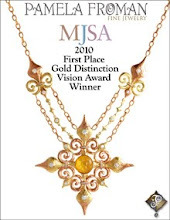 the jewelry was put in the largest showcase, near the entrance, and in the windows. 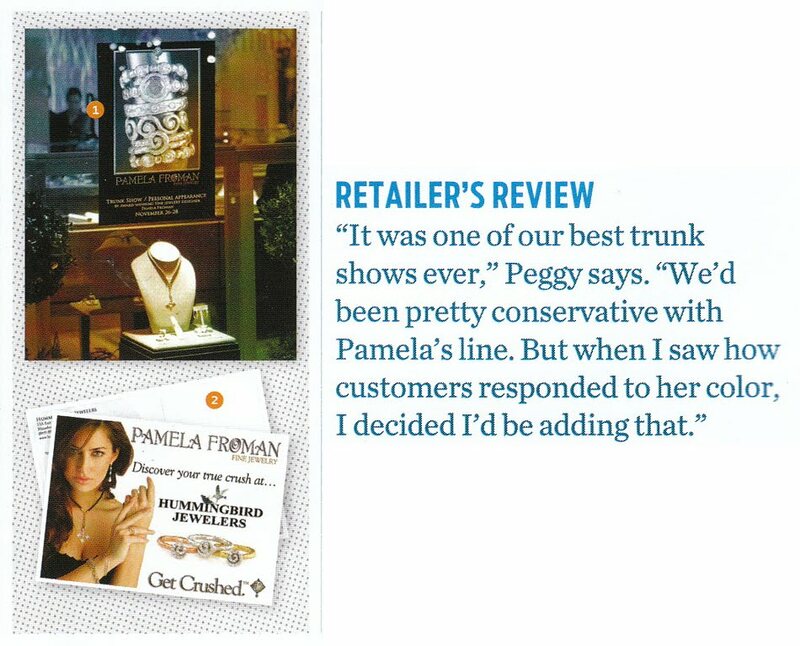 "It was one of our best trunk shows ever," Peggy says. "We'd been pretty conservative with Pamela's line. 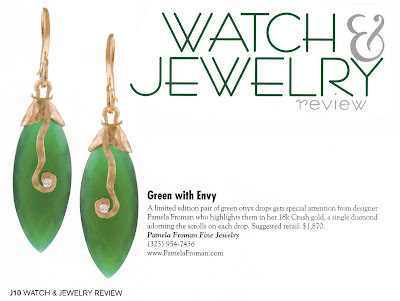 But when I saw how customers reacted to her color, I decided I'd be adding that." 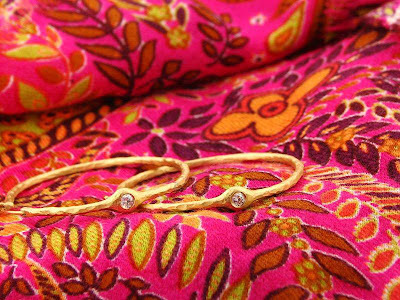 Cotton Club Collection is turning 21, and their 'Tinis & Trunk Shows event will be the party of the year!! Come join the celebration on Wednesday, March 30th, from 10am-6pm. We will be introducing our Spring collection, along with special appearances by Cotton Club's favorite clothing and accessory lines. 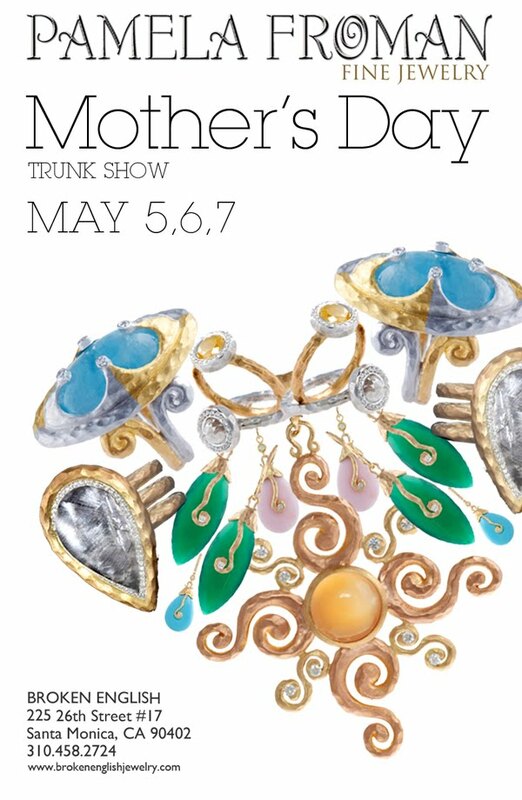 I'm really looking forward to accessorizing your new spring wardrobe with my latest creations, so I hope you'll be there! 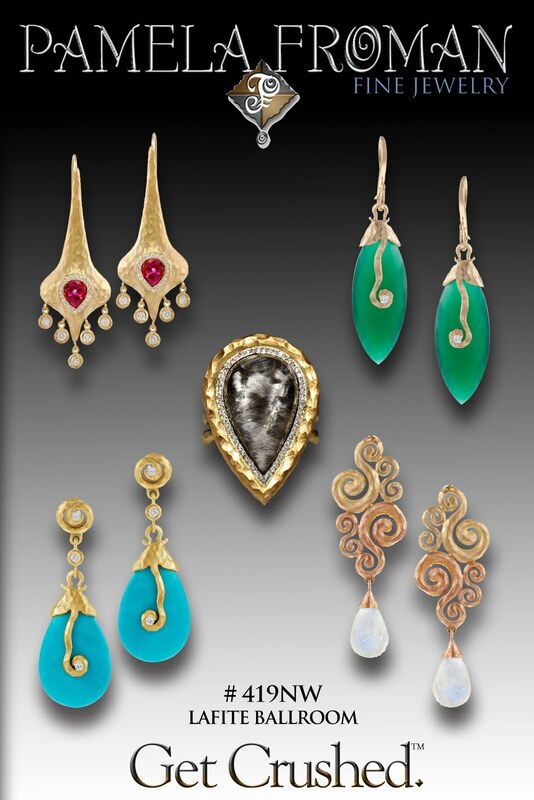 If you can't make it to the store on Wednesday, don't worry, I'm sticking around for a solo Trunk Show at Cotton Club on Thursday, March 31st. See you there! 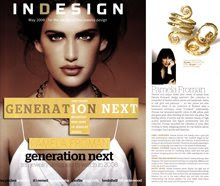 Had an amazing full page editorial in L'Officiel! It looks like they have taken my "Arabesque Sunburst" and swirled it in paint. I am assuming they photoshopped it, and they did a fabulous job! Super cool! Our hearts skip a beat over Pamela Froman's “Majestic Crush” earrings, photographed here by the talented Jay Lawrence Goldman. 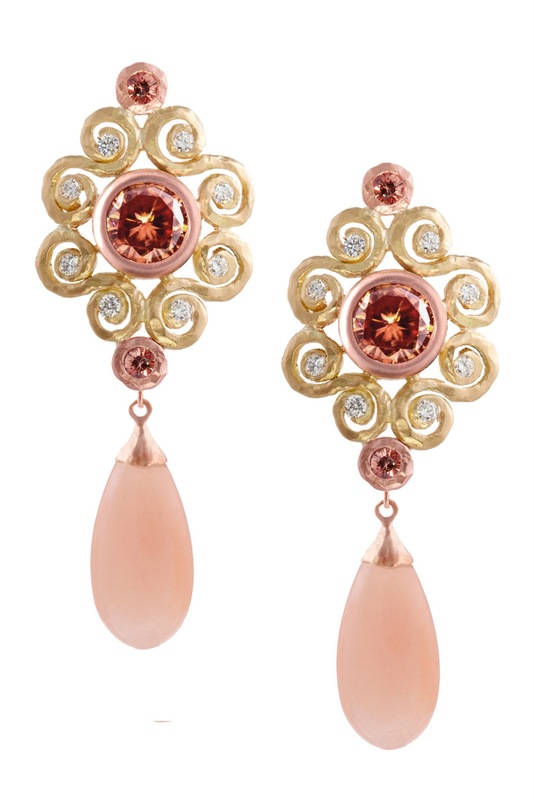 With 18k yellow and pink crushed gold, Malaia zircon center stones, accents of diamonds and Malaia sapphires, as well as insanely attractive peach moonstone drops; these stately jewels show off the fine jewelry collection’s signature look – handmade and one-of-a-kind. 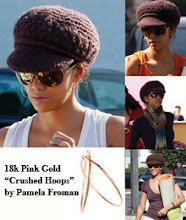 Celebrity fans with regal crushes include Diane Lane, Eva Mendes, Norah Jones and even Halle Berry – who was recently spotted wearing Pamela’s 18k pink gold crushed hoop earrings. Our jewel crush needs to turn into a long-term relationship! 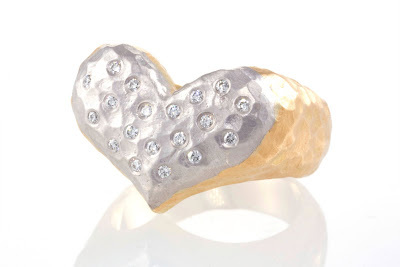 This was a great Blog Post from Jewel Devotee! We appreciate the recognition! Niche Magazine's 2011 Spring issue features a portfolio of the best new jewelry collections hitting the market this year, and Pamela Froman Fine Jewelry was selected for inclusion! 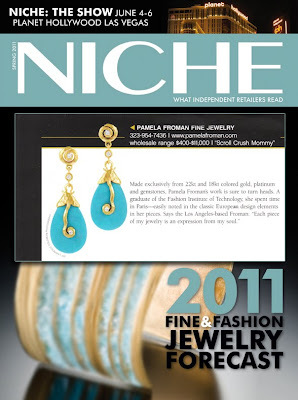 The earrings shown are Pamela's "Scroll Crush Cap" Mommy Earrings in 18k Yellow "Crushed" Gold with Turquoise briolettes and Diamond accents; the "Scroll Sparkle Stud" portion of the earring can be worn without the Turquoise drops for an every day casual option. 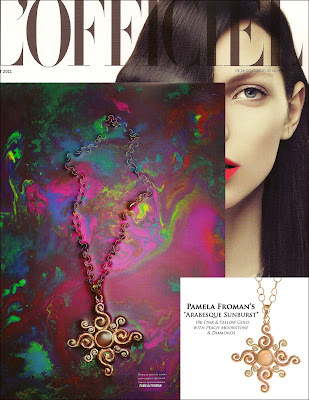 Pamela Froman is Russian Vogue's EDITOR'S CHOICE!!! 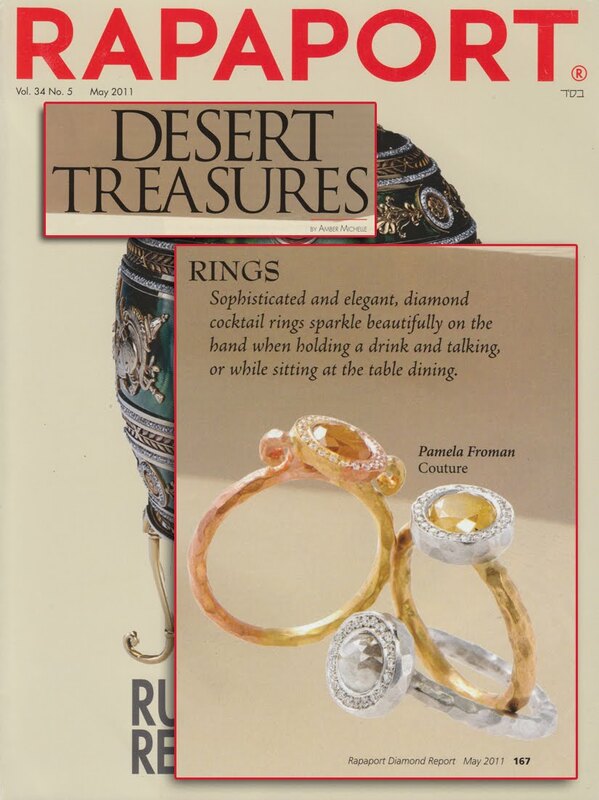 I recently posted some pictures from the February issue of Russian Vogue, showing Pamela Froman Fine Jewelry on the cover and within the main fashion story. 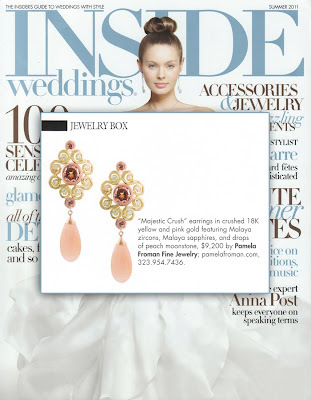 While there's no denying the joy we felt to see Pamela's jewelry featured in such a major publication, March has brought even more fabulous news: the new Editor-in-Chief of Russian Vogue, Victoria Davydova, has selected a pair of Pamela Froman earrings as her jewelry choice this month! We are incredibly flattered. 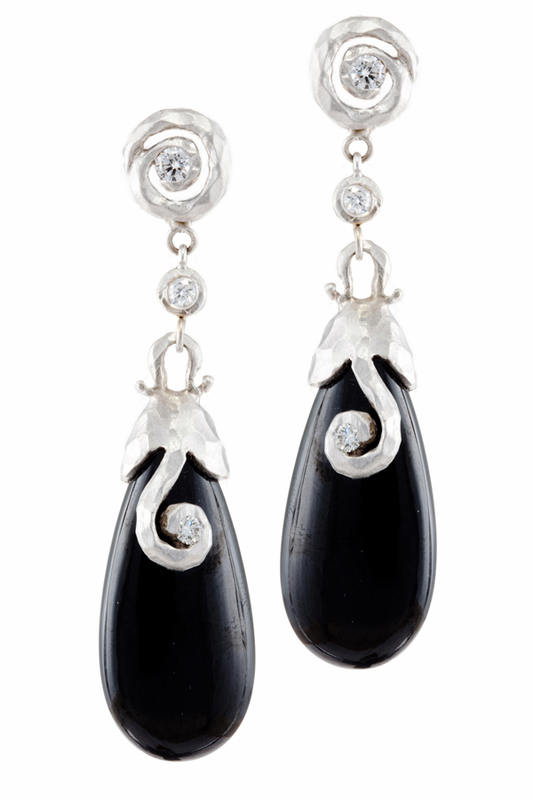 The earrings shown are Scroll Crush Cap Mommy Earrings, in 18k White "Crushed" Gold with lustrous Black Spinel briolettes and sparkling Diamonds. 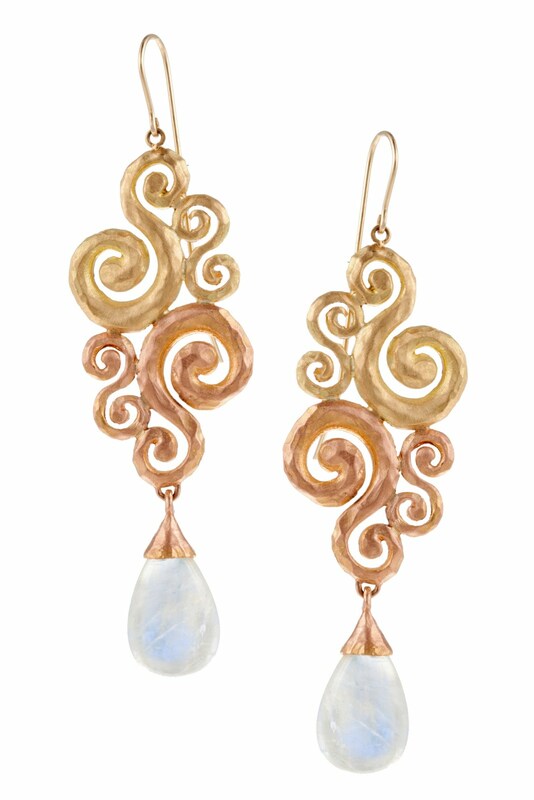 Pamela calls these "Mommy Earrings", because she developed the design when her son was a baby pulling on her favorite hoops, and she needed a better option... the top of the earring is a Scroll Sparkle Stud that can be worn daily without the drops (no pulling!) and dressed up for a night out on the town. By the way, Mommy Earrings come in a variety of styles, with many different types of drops. 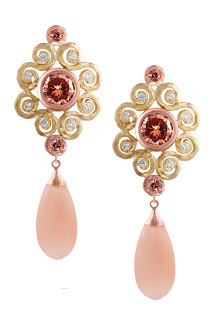 You don't need to be a mom to appreciate the versatility of this earring but, with Mother's Day coming up, it could be a great excuse to ask for a pair! We were excited to see Pamela's jewelry on the cover of the February issue of Russian Vogue! Pamela was recently interviewed for a feature about jewelry design, in the January/February 2011 issue of Hospitality Design Magazine (the "Inspiration Issue"), with fellow fine jewelry designers Erica Courtney, Vicente Agor, Todd Reed, and Gurhan. 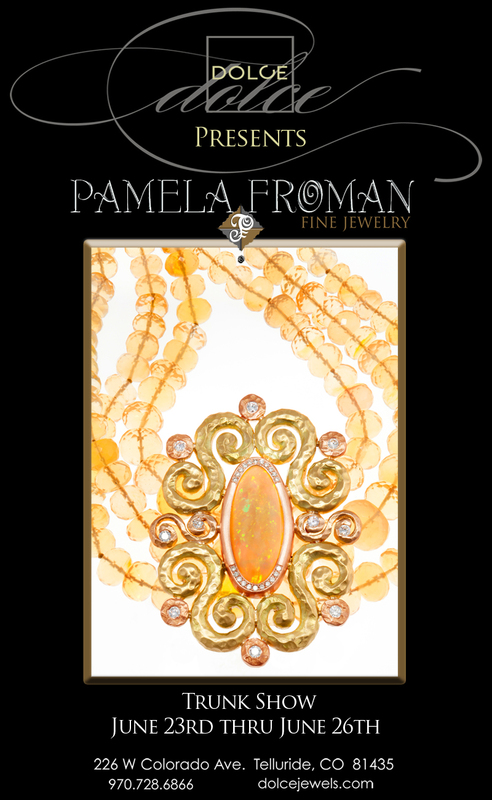 For fine jeweler Pamela Froman, clients are calling out for color. 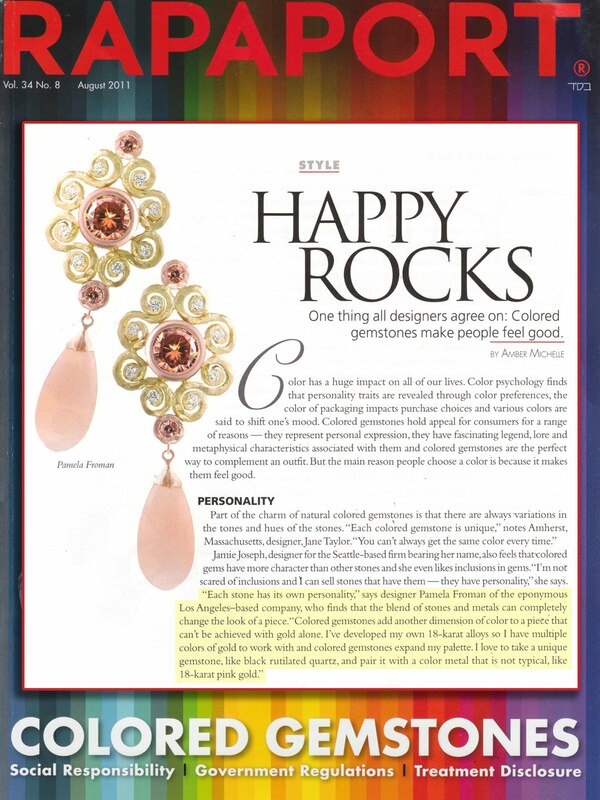 "I'm constantly making new pieces for my collection of one-of-a-kind and limited edition colored stone cap earrings and pendants," says Froman, who also notes a resurgence of interest in her tri-color gold pieces. "I'm really drawn to the cool tones right now; I've been designing a lot with blue-toned stones like aquamarine and rainbow moonstone." 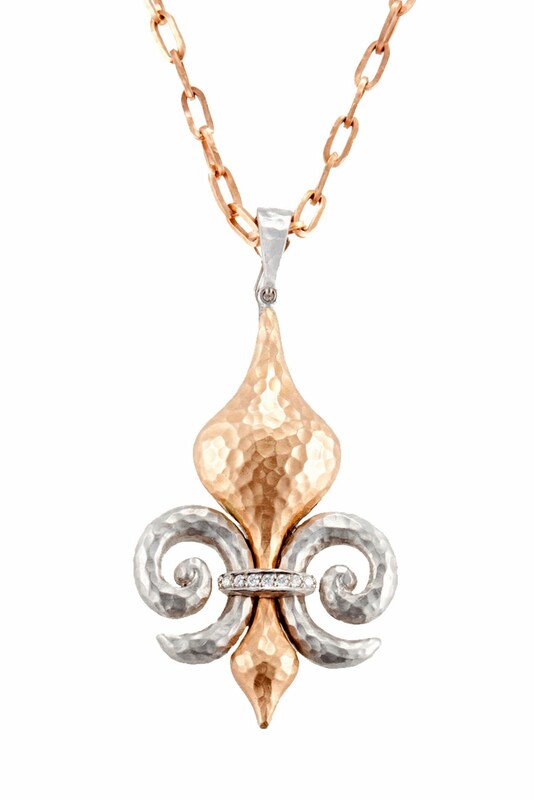 ... Inspiration for jewelry is universal. 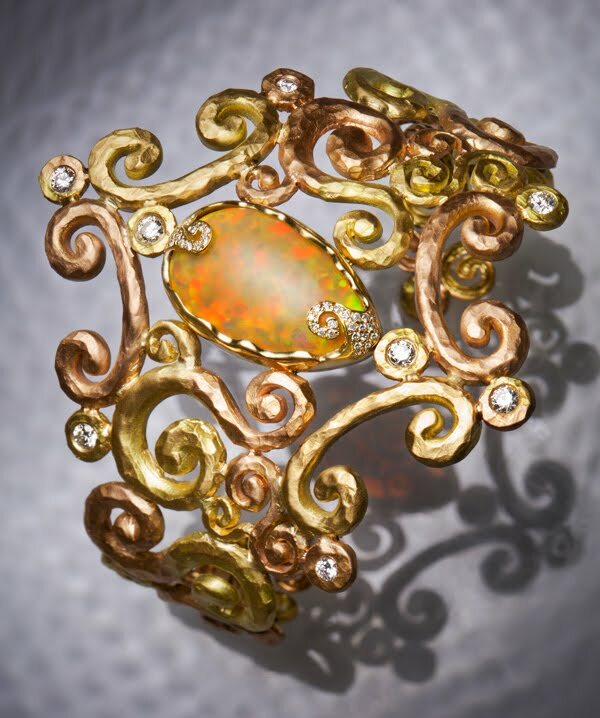 "Old-world European architecture has inspired a lot of my designs, especially scrolly wrought iron gates, and the beautiful domes of St. Petersburg," says Froman. 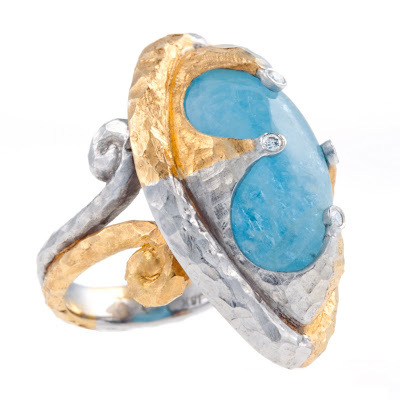 The 2nd annual "Cashmere & Diamonds" event is being held tonight at Dolce Jewels in Telluride, and this year's featured jewelry designer is Pamela Froman! Susan Viebrock of Telluride Inside... and Out, interviewed Beau Staley of Dolce, and Caci, the owner of Cashmere Red, about this fabulous collaborative event. To learn more, click here to visit the blog post on Telluride Inside... and Out, which includes a great podcast interview with Beau and Caci!